It's too bad the Walt Disney World resorts are difficult to get to (without a rental car that is), because they are amazing examples of themed architecture and a lot of fun to visit. 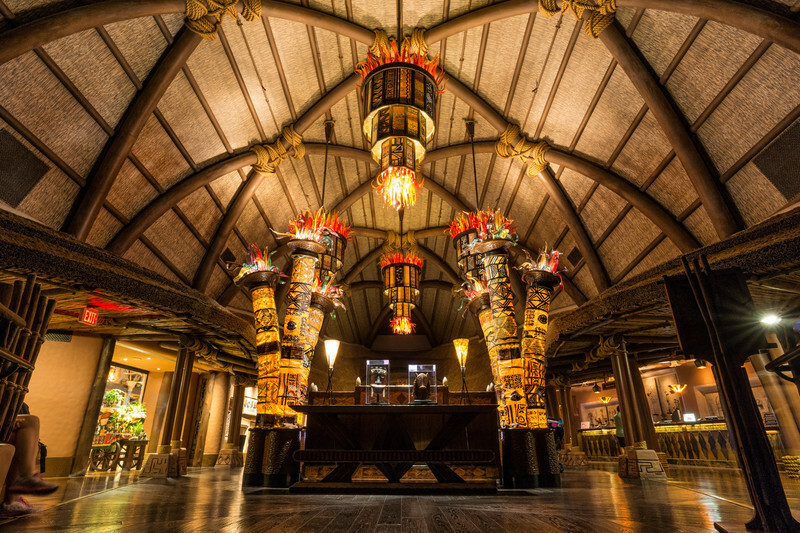 This is the lobby of the Animal Kingdom Villas- Kidani Village, which contains an impressive amount of detail in its African-inspired architecture. If this view weren't enough, you could walk outside onto a viewing platform in a replica of an African savanna complete with real giraffe & zebra just a few yards away.